Gilles is a SharePoint Solutions Architect. 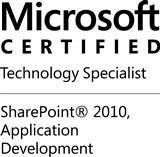 With his strong technical background in ASP.NET, he has worked on many Portal and Web Content Management projects with heavily customized SharePoint Web Sites since SharePoint 2003. Gilles has mainly focused on creating solutions for Information Workers with SharePoint, Office, and related .NET technologies. He is actively sharing his real world expertise through the SharePoint Community and his blog https://gilleslauwers.wordpress.com.